BRIDGETOWN — Flights to and from Barbados this weekend were delayed or cancelled due to the closure of the Grantley Adams International Airport as a result of strike action by air traffic controllers. Regional carrier LIAT said that passengers who decide to travel but are unable to complete their journey will not be provided with meals, transportation or hotel accommodation as the situation is beyond the airline’s control. Passengers with onward connections were advised to contact the respective carriers. Affected customers who wish to rebook for a later date will be allowed to do so without change fees or fare differences for a period of two weeks from the date of their original scheduled travel. There will be no flights out of the Grantley Adams International Airport in Barbados before 6 p.m. today after air traffic controllers downed their tools and refused to work. The protest action was sanctioned by employees’ union the Barbados Workers Union (BWU). The workers are demanding the payment of $16.5 million in outstanding increments. Regional air carrier LIAT is among those affected by the industrial action. The airline issued an advisory at 11 a.m. Thursday, informing passengers that all flights to and from Barbados have been delayed due to the closure of the airport. Barbados is a major hub for international flights. 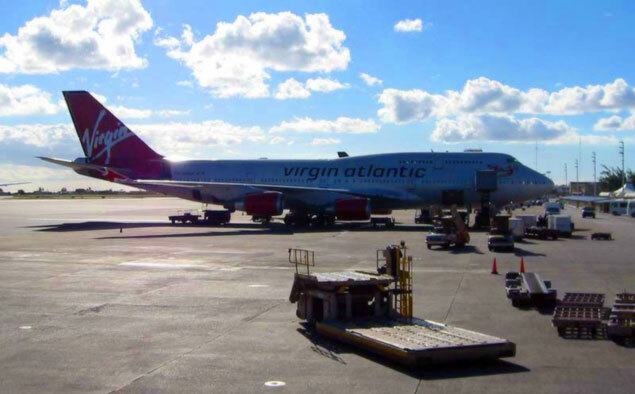 It means that hundreds of passengers are stranded throughout the Caribbean, unable to get to that country to make connecting flights on major air carriers such as Air Canada, British Airways and American Airlines. teleSUR met up with some stranded passengers at the George F.L Charles Airport in Castries. “We don’t have a flight right now. The situation is, we left Trinidad this morning at 6:15 am, we arrived on time, but the strike issue in Barbados has affected our travel. We’re trying to make the best of the situation,” said Mark Pouchet, the Head Coach of the Trinidad and Tobago Open Water Swim Team, which is trying to get to a regional swim meet. Workers at the Port in Barbados’ capital Bridgetown are also off the job, in a show of support. With all flights halted until 6 p.m., stranded passengers throughout the Caribbean are buckling down for some lengthy delays.